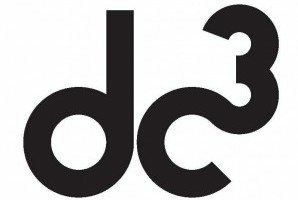 Earlier this month, the Detroit Creative Corridor (DC3), a business accelerator for entrepreneurs in creative fields, announced it will launch “Design in Detroit,” a new online platform to try to connect artistically minded businesses with individuals and institutions in the region. This three-year, Knight Foundation-funded effort to create a digital network for Detroit’s creative community also allows for business and creative collaboration and even crowdfunding, says DC3 director Matthew Clayson. “I saw a need to share the work of the Detroit creative community with local and international audiences and potential customers,” he says. The online platform will be anchored by the annual Detroit Design Festival, to be held in September, which next month will ask Detroit’s creative community to start submitting ideas for technology, business, and design ideas that will propel the city forward. Last year, a pilot design festival hatched “Mind the Gap,” a contest to improve Detroit’s vacant and under-used spaces. The success of that contest, which was won by a high school student at Detroit’s Henry Ford School for Creative Arts, led Clayson to start thinking about ways the local creative community can affect the city’s social and economic infrastructure. Clayson hopes that Design in Detroit will keep artists and entrepreneurs engaged long after the design festival is over and help recruit potential new businesses to Detroit. On the digital platform, users will be able to post ideas, concepts, and products. They’ll be able to connect to work collaboratively or encourage one another’s work. Clayson says the economic power of the arts community in Detroit is tangible. Last year, he says, the output of Detroit’s creative sector was $600 million, which includes everyone from individual practictioners to multinational firms. There are currently 16 creative startups in the DC3’s incubator, but Clayson says they’ll soon graduate and he expects the next class of tenants to be almost twice that size. Whatever it is that people find so appealing about the art and design coming out of the city, Clayson says it’s time to step up the effort to pull new financial backers into the mix to see what kinds of innovative startups will spring from the minds of the city’s creative class. This is Bethany from the DC3. Thanks Alex for your compliment on our work. We are most definitely not interested in cannibalizing Rippld, one of our accelerator companies. This is certainly a frustrating miscommunication, especially for me personally, as I work directly with Rippld as their program manager and make it my focus to support them daily along with all of our accelerator clients. To be clear, our initiative outlined in this article is to provide digital support for the annual Detroit Design Festival, which we produce. It is not intended to compete with Rippld, and when the site is launched, it will clearly demonstrate that. We have been in communication with Rippld about this and are working to clear up any confusion.